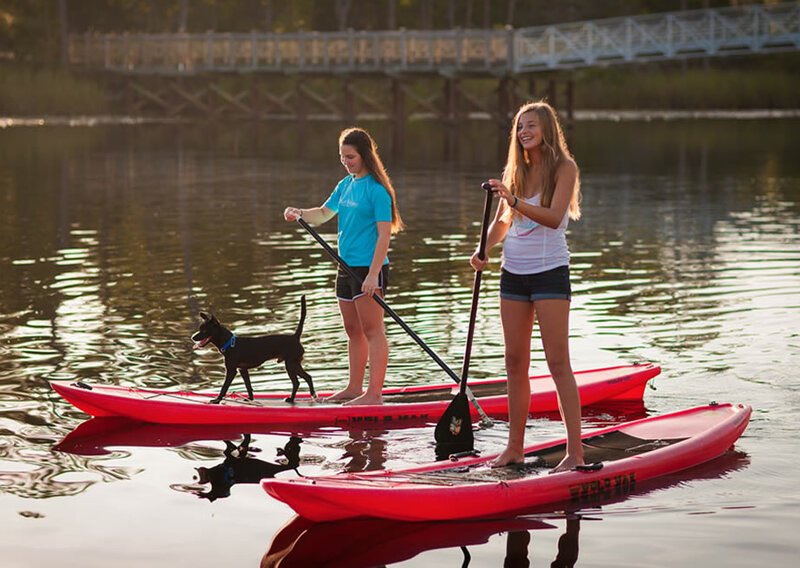 We offer stand up paddle board rentals at our Cedar Park location. We use paddle boards that are made out of plastic instead of fiber glass making them more durable. With the plastic boards you have more freedom to explore shallow water without the worry that you would damage them. They are also wider than most boards which provides a more stable paddling platform. Come out to our Brushy Creek Lake location and enjoy some Stand Up Paddle Boarding!